Growing a beard isn’t as simple as deciding you want to grow one and then just letting it happen (though there are some men who are lucky enough to be able to do that). Growing a beard takes planning, patience, and, surprisingly, hard working. So, if you’re considering growing a beard, be sure to follow these guidelines when it comes to beard growth stages. First and foremost, you have to decide what type of beard you want to go grow. Are you simply looking to grow a standard goatee or do you want to look like a rugged lumberjack? Deciding this early on is incredibly important, as it will ultimately determine what type of routine maintenance you will need to do down the road. So, once you make your decision, stick with it! This will obviously vary from person to person, as some men can grow a solid 5 o’clock shadow with little to no effort, while it takes other men a couple of days for the first hairs to really start showing up. Regardless of when your stubble first starts appearing, you’ll want to immediately begin trimming it based on what type of facial hair you decided to grow. This will allow you to have the best stubble possible and will help you create the framework for your future beard. This is when your beard will really begin to look like a beard. You could get to this point in a matter of days, while it might other men weeks, which means you need to remember to be patient! More importantly, you’ll need to start taking care of your beard so it not only begins to look great, but that it is also grows in properly. You’ll likely want to invest in a nice pair of trimmers, preferably ones that come with precision blades that can allow you to trim the ends of your beard and get all of the difficult angles. The next step can be viewed as somewhat optional, but if you want your beard to look good from the very beginning, then you’ll want to start applying wax or oil to it every morning. It will not only look great, but it will ensure your hair follicles are healthy, which is incredibly important to growing a good beard. Depending on what type of beard you want to have and how easy it is for you to grow facial hair, you could almost skip this stage, but let’s just assume that you can’t grow hair at an incredibly fast rate. Your beard should nearly be finished growing, which means the most important things you’ll want to do at this point are to continue to use your trimmers to keep your beard well-defined and to use scissors to eliminate the occasional long hair. You will also want to continue to apply wax or oil after you shave. You’ve done it! You have reached your goal and are now among one of the many men who are lucky enough to have a thick, full beard. However, just getting to this point is half the battle. After you are have reached your goal and are happy with the length of your beard, you have to remember to properly maintain it! Proper maintenance includes regularly trimming it in order to ensure it stays at its proper length, as well as thoroughly applying wax or oil to keep it healthy. If your beard is long or thick enough, it also won’t hurt to start shampooing your facial hair in the shower. It might seem a little silly, but washing it regularly will keep it healthy and clean. Remember, the most important step is simply deciding on what type of beard you want to grow. You should grow something that is within your limits and, more importantly, doesn’t interfere with your social life or job. 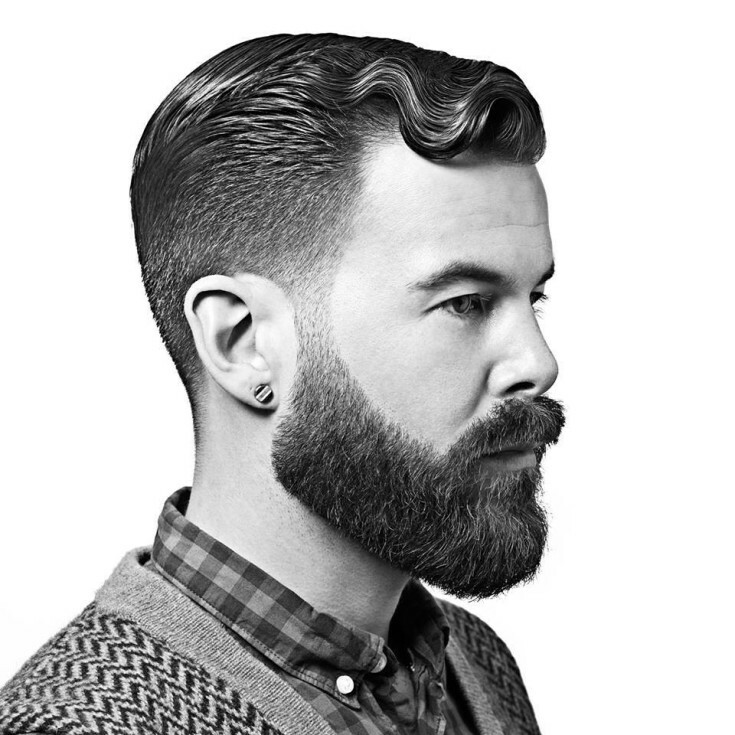 After doing that, you’ll need to perform regular maintenance so you can create a good outline for your future beard. Once your beard really starts coming in, you need to be diligent when it comes to its upkeep, especially in regards to trimming it and applying wax or oil. And even after you have “completed” growing your beard, proper maintenance can mean the difference between having a beard that is envied by your friends and peers and a beard that is patchy, unkempt, and scraggly!